Dhyanalinga temple is in Isha yoga center which is 35Km away from coimbatore city, and travel time takes 1.5 hours. Scenic beauty, tranquillity and a dash of spirituality; Dhyanalinga Temple will welcome you with all these things. 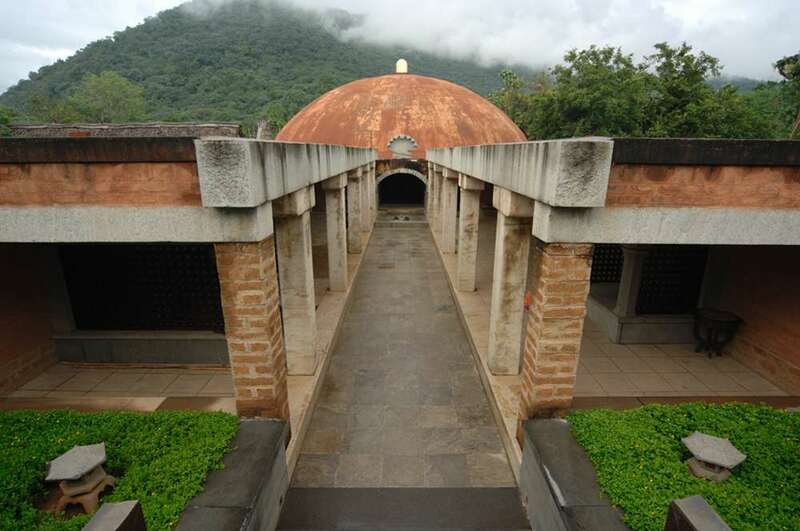 Primarily known as a popular meditation centre, the temple promises you respite from the mundaneness of daily life. 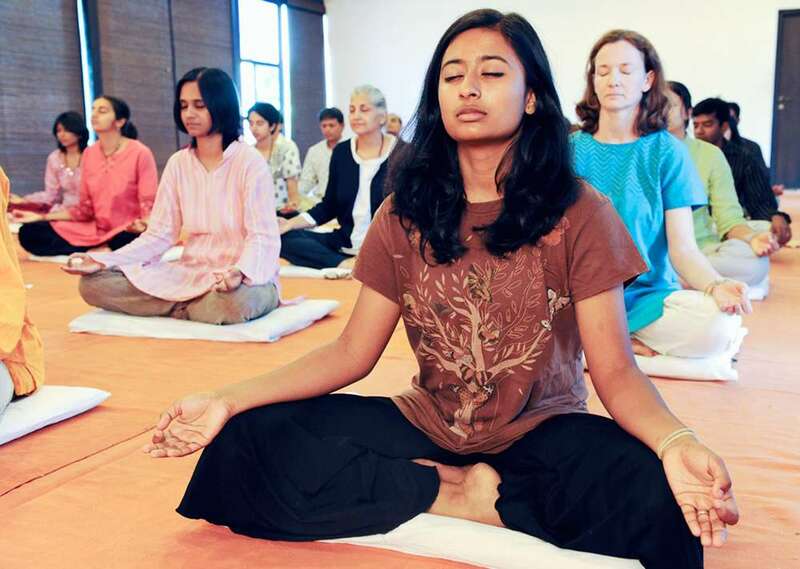 It has a large campus with a separate area for yoga and meditation sessions. 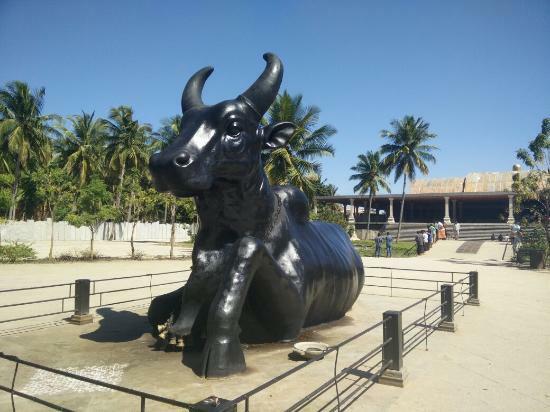 If you step inside you will spot a huge idol of Nandi at the center (the famous bull who accompanies Lord Shiva) as the temple is dedicated to Lord Shiva. Isha yoga center in India is a sacred space for self transformation where spiritual seekers from all over the globe gather to pursue the spiritual path. 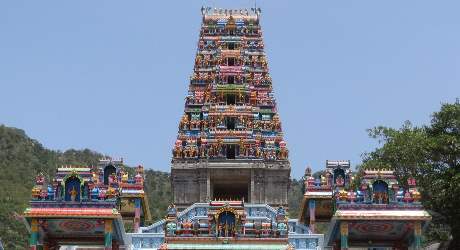 Anubhavi Subramaniar Temple is an ancient temple situated in the outskirts of Coimbatore & it is located on the Anaikatty highway. 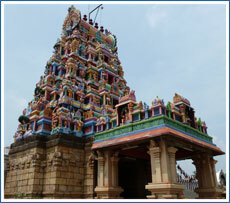 Anubhavi Subramaniar Temple is one of the religious shrines in the region. Swayambumurthi presiding deity and the five mango holy trees were washed away by nature’s fury in the year 1957. The new temple was built then in 1969 and consecration celebrated. 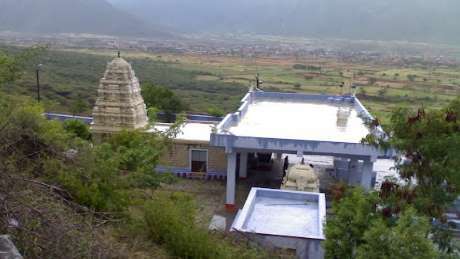 The temple is 1 km far from the foot hills with 500 steps. Idumban shrine is before the hill temple. While passing through this hill with the Sanjeevi mount, Sri Anjaneya felt thirsty. He prayed to Lord Muruga here for water. Lord punched a place here with His Vel from where water sprang up and flowed as a river. This shows that Muruga worship was n vogue even during Valmiki’s period. There are also 2 mentions about the velocity of the arrow of Rama as that of Muruga’s Vel. The word Hanu stands for Sri Anjaneya. Vavi in Tamil means water resource. Hanuvavi means a water source that appeared for Hanuman-Anjaneya. In days that followed the name changed as Anuvavi. 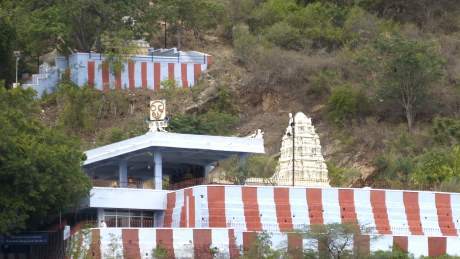 As Kumara-Muruga helped Hanuman, the hill is also praised as Hanumakumaran Malai. Malai in Tamil means hill. Aipasi Sura Samharam in October-November; Krithika star days and Karthigai in November-December; Panguni Uthiram in March-April and Vaikasi Visakham in May-June are the festivals celebrated in the temple with special abishekam and pujas. 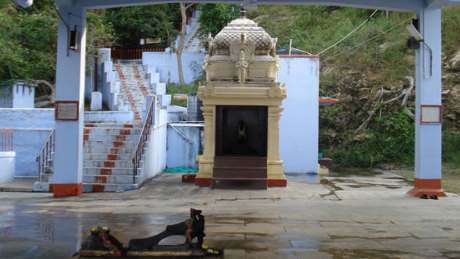 Anubhavi Subramaniar Temple in Coimbatore is located at 11°03'24.9"N 76°50'54.9"E 11.056922, 76.848569. 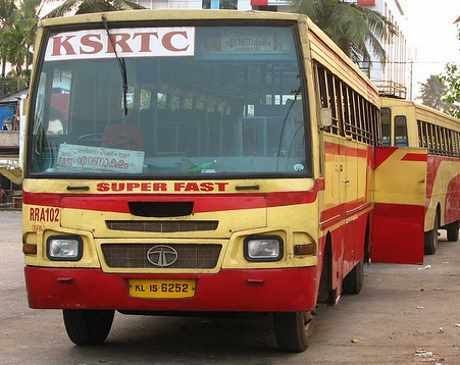 By Road: This Place is well connected to Coimbatore by Road, Anubhavi Subramaniar Temple Bus Route 26A, 11A. 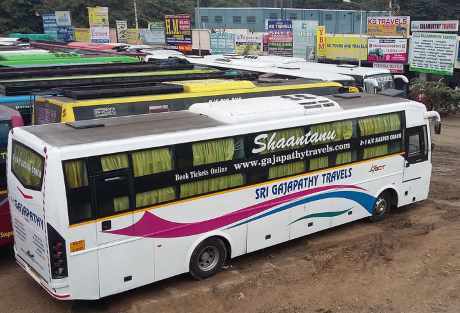 By Airport: The Nearest Airport to Anubhavi Subramaniar Temple is Coimbatore Airport, Coimbatore which is 16 Kilometers away from Anubhavi Subramaniar Temple. By Railway: The Nearest Railway Station to Anubhavi Subramaniar Temple is Coimbatore Railway Junction which is 7 Kilometers away from Anubhavi Subramaniar Temple. Sri Manneeswarar is to be remembered that as a swaymbu Lingam, under Kailasa vimana (tower above the sanctum) Lord Manneeswara graces devotes. 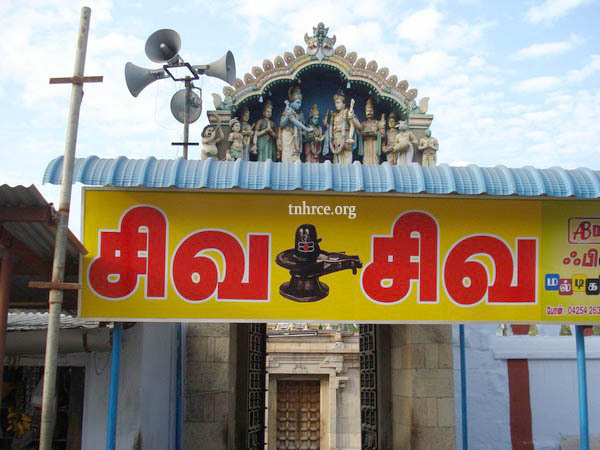 Other shrines of this temple are 7 Nagar idols (Snake idols) known as Sarparaja shrine, Tiruneelakanda Nayanar, Anjaneya, Deivanai, Valli, Bhairava,Nataraja, Jupiter (Guru Bhagwan), Muruga, Nalvar who sang the Tiruvasagam and Thevaram hymns. Devotees conduct special abishek to Lord and Mother. Devotees pray in the temple, seek pardon for bad doings committed knowingly or unknowingly plus repent for the sins continuing from births of past. They donate and give special offering to the Lord and Mother Goddesses too. The region was a jungle in olden days densely infested with Valli plants. A hunter, Anni by name was eking his livelihood by hunting animals though he knew that killing lives was a sin. He knew no other work for living. One day, as he did not get any animal, he dug the Valli plant for its root to quench his hunger. Surprisingly, the length of root did not reduce despite his cutting and found it in full size despite his cutting it repeatedly. Out of curiosity, he continued to dig further and found the root bleeding. A voice came then saying that all his sins had been pardoned and advised him not to continue hunting. The hunter trembled and informed the king of what he saw and heard. 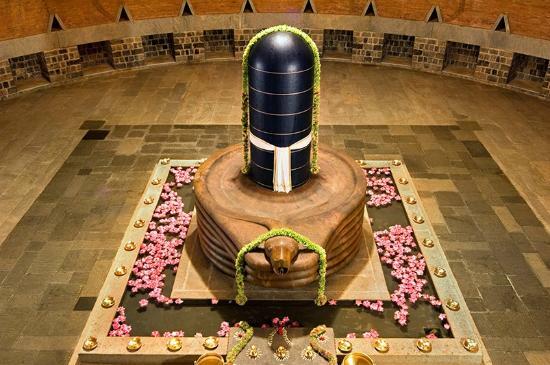 The king found a Shivalinga in the place. He tried his best to pull out the Linga with a chain dragged by an elephant but could not succeed. Lord appeared in the dream of the king and advised him to drop his efforts to pull out the Linga as He would like to stay there itself. The king built the temple in the place. Lord Sri Manneeswarar graces as a swayambumurthi under the Kailasa Vimana in the sanctum in the colour of sand. Rajagopuram is a 7 tier structure. There is also a wing like form on either side of the Shivalinga as that of Garuda (the eagle vehicle of Lord Vishnu) in a folded form. Garuda has a sharp vision and could see even small things on land even while flying high. It is believed that Lord Shiva is closely watching our doings with His sharp vision, hence this form. It is also believed that the Lord would pardon any sinner if sincerely and honestly promises before Him that he/she would not repeat committing sins. There is also a scar on the Linga showing the sign of a chain and also an injury sign of the weapon of a hunter. The Lord is called Anneeswarar as He graced a hunter and the place Anniyur. 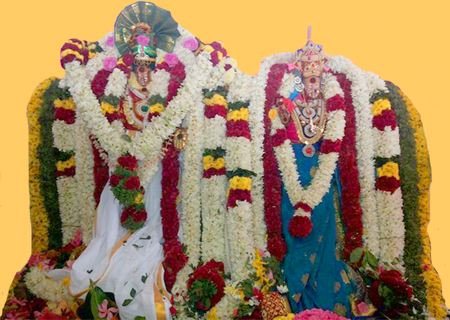 Special pujas are conducted in the temple on new moon days. Mother graces in the name of Arunthava Chelvi. Oonjal festival is celebrated on each Fridays blessing devotees worshipping Her that day with child boon. While Mother Durga graces in the Shiva prakara in temples traditionally, here Sri Durga is in Ambica side. It is believed that all prayers are favourably responded in Durga shrine. According some epigraphic evidences, the place has a mention as Mel Thalai Thanjavur. There are shrines for Sun and Moon near the Rajagopuram. Special pujas are performed on the first Sunday and Monday of Tamil months to Sun and Moon respectively in early morning. All the planets are facing Sun. There is a separate shrine for Saturn – Sani Bhagwan. Dhil rice (EL Sadam in Tamil) is offered as nivedhana to Saturn on Saturdays with pujas. Note : Festival Period Poojai Timing will be varied. Welcome to Arulmigu Eachanari Vinayagar Thiru Koil! Lord Vinayaga is the first and formost Hindu deity and he symbolises pranav manthara Ohm the sound which is everlast and everlive at the creation and destruction of this universe. 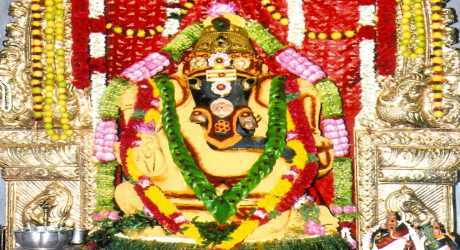 Lord Vinayaga symbolises Ohm Pranav manthara is a presiding deity of this temple, and this temple is situated 10km away from Coimbatore to Pollachi enroute. The Moolavar of this temple is actually made for the installation at Perur, Arulmighu Patteswarar Temple and since the cart carrying moolavar struckdown at this place from Madurai and Eachanari become the blessed place of Lord Vinayaga. 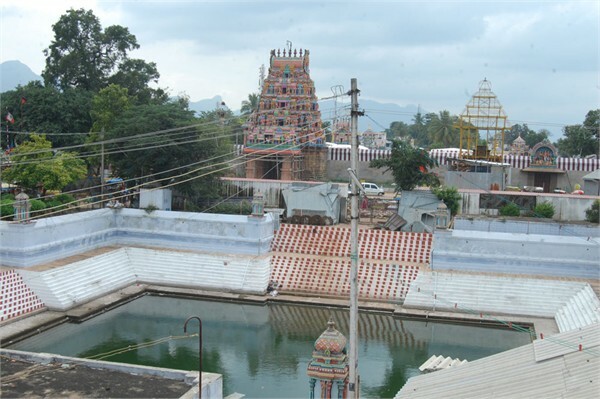 Hence the Vinayagar in this place is called as “Eachanari Vinayagar”, one of the famous vinayaga of whole Tamilnadu. This Temple is opened at 5am everyday and is closed at 10pm without any break of worship time. Everyday “Ganapathy Homam” is performed by Kattalaitharars as on date 350 Kattalaitharars for “Ganapathy Homam” regularly performed each day. Eachanari, Coimbatore - 641 021. Lord Muruga is glorified as the God of mountain and mountainous regions in THIRU MUGURUGATRUPADI, a noted work of the Tamil Literature of the Sangam Age.The word Muruga is a comprehensive term, connoting several meanings such as sweetness, youthfulness, beauty, divinity and honey and therefore it is but natural for the Lord to have His abode amidst scenic beauty among hills and mountains. 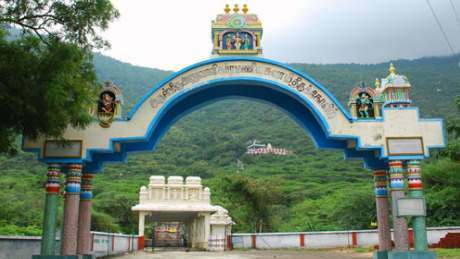 Situated at a height of about 500 feet in a plateau on the western Ghats, fifteen kilometres north west of Coimbatore, amidst lush vegetation and salubrious climate, Marudhamalai Hills, dedicated to Lord Muruga (Dhandayudhapani) is classified under KUNRUTHORADAL, one of the six main abodes of the God, the others being THIRUVAVINANKUDI (PALANI), THIRUPARANGUNRAM, (NEAR MADURAI), THIRUCHEERALAVAI (Thiruchendur), THIRUVERAGAM (Swamimalai) and PAZHAMUDHIRSOLAI (Azhagarkoil near Madurai). Set against the backdrop of hazy blue hills dotted with shrubs and bushes of varied hues, the sacred shrine verily reflects the picture of Lord Muruga, magnificently mounted on his vehicle peacock, flaunting and swaying its feathers and plume in full bloom. The hoary past of the temple can be traced in such ancient works as Sage Kachyapar's PERUR PURANAM. The origin of the temple is rooted in legendary antiquity and dates back to the age of Surapadama, the demon destroyed by Lord Subramanya referred to in SKANDAPURNAM. The inscriptions found in Thirumuruganathaswami Temple, Thirumurganpoondi places the origin of the temple in the 12th century A.D.According to Perurpuranam, Soorapadama, the scourge of the gods aided by his mighty brothers, Singamukha and Tharaka arrayed against them and struck terror in their already agitated minds by his sudden and surprising charges and depredations. Unable to bear the agony and anguish, the gods approached Lord Siva and sought His succour. Lord Siva comforted the Gods that Lord Muruga would come to their rescue, root out and destroy Surapadama and his retinue enmasse. The gods should hasten to the Marudhamalai Hills and await the advent of Lord Muruga, their Saviour! Perupuranam also alludes to a king called Kusathvajan, who, it is said, was blessed with a male issue, only after worshipping Marudhamalai Muruga.The Divine Cow Kamadhenu is reported to have grazed in the pastures of the hills of Marudhamalai.Perurpuranam lists the three neighbouring hills, vellingiri, Nili and Marudhamalai as the very manifestations of Lord Siva, Parvathi and Subramanya respectively and the three hills taken together as the very symbol of Somaskanda. For the benefit of devoties the Temple runs three Mini Buses from foot hills to Hill Top. Devoties can walk through the Steps where Electrical Lamps are fixed on the two sides for the benifit of Devoties. Annadhanam Scheme was started on 23.03.2002. Annadhanam will be served hot for all devoties at 12.15pm daily in this temple. 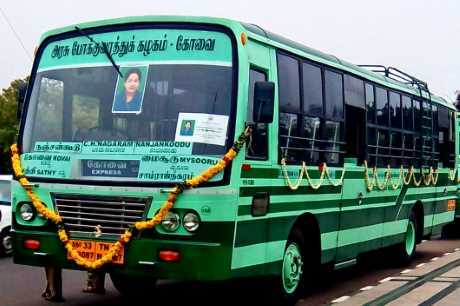 The Donor may participate in this scheme by investing Rs.30,000/- and from the interest of this investment every year Annathanam is given to 100 persons on any one day the donor decides, or the donor may participate in this scheme by giving Rs.3,000/- for a particular day for Annathanam to 150 persons. Golden Chariot is at the hill top with an height of 16.5 feet that has been made with Gold at an cost of Rs. 1.08 Crores in the year 2003. Devoties can pay a sum of Rs. 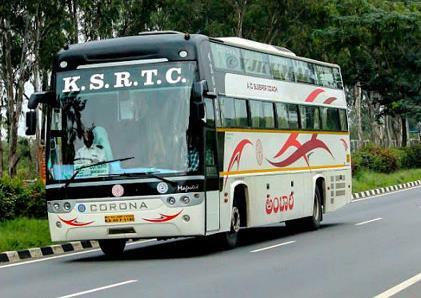 1,500 for this golden chariot for which 3 persons are allowed. Angappa College , SVS College.